I’m not a health nut or a crunchy hippy type, but I really am interested in how adding a healthy smoothie or two to your diet can really help improve your overall health. I’ll explain why in a minute. 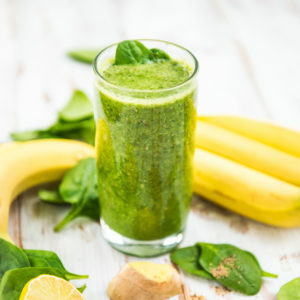 As I started to read about raw food and healthy smoothies I noticed a lot of people with really interesting alternate lifestyle beliefs writing about healthy smoothies, and that’s great, I have no problem with that. I just thought maybe another voice could be heard coming at this from a different angle. So I have an engineer’s view of health and fitness. I want real, logical, research-backed strategies to use to reach my health goals. I won’t be talking to you about manifesting anything out of thin air. I just don’t think reality works that way. Based on my experience, and what I’ve researched, fitness and weight loss are not that complicated. Those with complicated systems that require a book to explain them are usually trying to sell you something. This can make me unpopular in some areas. People like to believe that it is harder than it is. Failing at something hard is easier to take than failing at something easy! I wanted to be able to see my abs. Sounds like a silly goal for a grown man, hey I’m 56 as of yesterday. But I can’t tell you how much it means to me to be fit and look fit. As you get older, there can be this huge disconnect between how you look and how you feel. To look old and yet not feel old can have a negative impact on how you view yourself and how you feel about life in general. Happier people are healthier; there is plenty of research that backs this up. And for me looking good helps make me happy. Healthy Smoothie Lifestyle – So What is Health?